IKON IMAGES / CORBISOne of our favorite scientific studies of the past few years is a laboratory assessment of how people react to strangers, conducted by Alex Todorov and colleagues at Princeton.1 They presented subjects with pictures of faces—many faces—that they had never seen before. All of the faces were intended to have no discernable expression, that is, they wore neutral expressions. The subjects were asked to rate how trustworthy they thought each face was based on a gut reaction. Naturally, each subject thought that some of the faces were more trustworthy-looking, some were less trustworthy-looking, and some were neutral. At the same time, the response of each subject’s amygdala—a deep brain structure—was measured using functional magnetic resonance imaging (fMRI). The measured responses showed some relationship with the judgments the subjects made about the faces. Specifically, the amygdala responses were greatest to faces judged to be the most untrustworthy. As cool as that is, it was not the most interesting finding. From the many and varied opinions of the individuals ranking the faces of strangers, Todorov and colleagues computed a mean trustworthiness rating for each face. The faces were then ordered in terms of what the group thought. This was a group rule; no one individual who was studied could possibly have known what this rule was. Yet, remarkably, the mean response of the amygdala across all subjects was positively correlated with the mean trustworthy ratings for the group of subjects. This extraordinary finding tells us that there may be fundamental rules by which our emotional brains process information and generate responses. These responses are initiated without our awareness or permission and they can form the basis of our biases and prejudices. This finding also fits well with previous data showing that the amygdala reacts to changes in subtle facial signals such as pupil dilation,2 and facial expression,3 even when subjects were not aware that these signals had occurred. The word “explicit” is used to define situations when we can put our experiences into words because we are aware of their occurrence. “Implicit” describes those things we do more automatically, that is, without monitoring them on a moment-to-moment basis such as motor skills like riding a bike or driving your car. We take it as a given that we have an automatic motor life. Is it then so radical to think about an automatic emotional life? Some of our immediate emotional impulses—say, in the first half second—are not entirely under our explicit control; they are implicit. Where in the brain does all this take place? While the interconnected nature of our brains makes it difficult to discern the exact networks that form the substrate of these implicit and explicit reactions, one structure that is clearly implicated is the amygdala, a highly conserved brain region buried in the temporal lobes. The amygdala is intimately involved in our implicit as well as explicit responses to emotional challenges we encounter in our environment. Amygdala responses to facial expressions have been used to predict treatment outcomes in both depression and generalized anxiety disorder. In the experiment described above, implicit cues about certain facial features appear to be tracked by the amygdala. These signals have an impact on our initial “gut” reactions concerning the relative trustworthiness of strangers. The good news from this is that you can forgive yourself your initial reactions. But then the important work begins, when you must efficiently invoke an explicit strategy to take control and produce behavior that is appropriate to the social moment. Automatic emotional responses make sense. We are under a constant barrage of sensory information from our external and internal worlds, which must be appropriately filtered and parsed into adaptive behaviors and physiological responses. It has been known for some time that the amygdala is critical for learning about environmental predictors of threat.4 Whether it is a rat in a cage learning that the tone it is hearing predicts something bad—for example, a mild shock to its feet—or a human being realizing that someone is coming up from behind them because the person in front of them just widened their eyes, it is the amygdala that monitors the environment for this particular tone or the widened eyes of a friend. While you might have been told that it is the “fight or flight” center of your brain, we think that it is better to think of the amygdala as one of the brain areas critical for learning about and then detecting these predictive environmental signals.5 The decision to fight or flee is likely made by other more complex brain systems after the amygdala has indicated that a predictive signal has been detected. That said, the amygdala does control some very initial and automatic reactions to threat. Examples include heart rate and respiration changes as well as somatomotor (movement-related) responses such as orienting and freezing in place. Freezing in the initial seconds of an emotional situation is sometimes a very good strategy and one that is invoked by rats and humans alike.4,6 If you don’t yet know whether to step left or right, better to stay put and learn a little more about your current predicament. 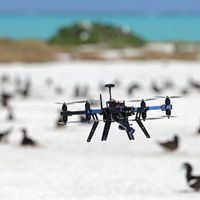 Over the past decade, remarkable progress has been made in understanding the specific qualities of incoming stimuli or signals, especially those related to our social worlds that are filtered by the amygdala. As we have noted above, in humans the amygdala takes special note of the facial reactions of others in order to predict what will happen next. In the laboratory we directly study amygdala responses to signals of threat and safety by presenting subjects with photographs of facial expressions. Numerous laboratories have independently employed this strategy and all have shown that facial expressions, especially the expression of fear, are potent activators of the human amygdala.7 And why not? From the expressions of others we can glean information about their internal emotional state, their intentions, and their reaction to contextual events in the immediate environment. 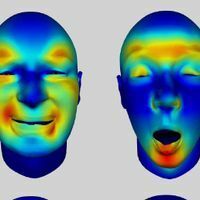 Facial expressions of emotion have predicted important events for us in the past, and in a brain scanner we can document some very similar responses to certain facial expressions based on these previous experiences. In this way, facial expressions are naturally conditioned stimuli. If the amygdala is constantly monitoring something as subtle as changes in the facial expressions of others, then it can play a pivotal role in the individual differences we see in how reactive some people are to the social signals of others compared to their peers.8 The implications of this for healthy interpersonal interactions are enormous. For example, if amygdala reactions were overly sensitive to the facial reactions of others, one might take a simple facial movement of a friend, one that was not intended to convey disapproval, as a certain slight. Aberrant amygdala reactions could play a part in exacerbating a host of psychopathologies. Indeed, numerous studies have identified abnormal amygdala responses to facial expressions across a variety of psychopathologies involving emotional dysfunction such as major depression, anxiety disorders, phobias, bipolar disorder, schizophrenia, and autism.9 More importantly, amygdala responses to facial expressions have been used to predict treatment outcomes in both depression and generalized anxiety disorder10 with lower pretreatment levels of amygdala response predicting better treatment outcomes. 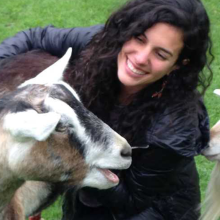 (A) The study of individual differences in personality and temperament. These differences help shape complex human behaviors and may serve as predictors of vulnerability for psychopathology. (B) The use of neuroimaging technologies, especially fMRI. Brain imaging links individual differences in personality and temperament with variability in brain-circuit function. (C) The use of multimodal PET/fMRI (or pharmacological fMRI). These technologies link individual differences in behaviorally relevant brain-circuit function to variability in brain chemistry. 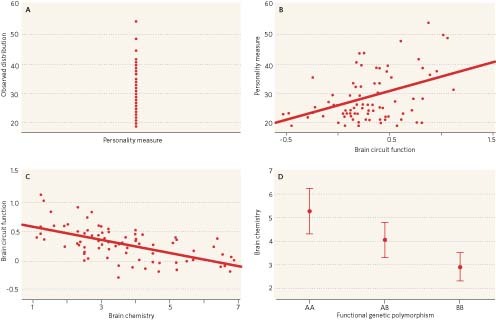 (D) Variability in brain chemistry can be mapped to functional genetic polymorphisms. This sheds light on the ultimate biological origins of behavior and on how variability impacts behaviorally relevant brain function. Each level of analysis has clinical implications, helping to guide the development of more effective and personalized treatment options, and the discovery of predictive risk markers that interact with unique environmental factors to precipitate psychopathology. Recent methodological innovations have begun to reveal how individual differences in the responsiveness of the amygdala to social signals may reflect underlying variability in brain chemistry and genetics. These observation-based (empirical) studies are shedding light on our individual differences in responding to adversity and challenge and, excitingly, suggesting novel neurobiological strategies for the treatment of psychopathological states. Three complementary strategies have emerged as being particularly useful in identifying specific biological, that is, intrinsic, factors that help shape the responsiveness of the human amygdala.8 (See graph above.) Each method is based on the ability to measure individual differences in amygdala function using fMRI. In the first strategy, commonly referred to as pharmacologic fMRI, a drug that is a specific antagonist or agonist of a targeted neuromodulatory system is administered to subjects either shortly before or during fMRI. The effects of the drug on brain function are typically evaluated against a placebo, and ideally the experiment is double-blinded so that neither participants nor investigators are aware of the specific treatment. Any differences between drug and placebo reflect a specific role in brain circuitry for the neuromodulatory system under study. Using pharmacologic fMRI, researchers have demonstrated that several neuromodulatory systems affect the responsiveness of the human amygdala.11,12 These include dopamine, serotonin, norepinephrine, GABA, endocannabinoids, and steroid hormones. Although pharmacologic fMRI studies are useful for identifying specific systems that modulate the human amygdala, they do not identify individual differences in intrinsic functioning of the systems or variability in the responsiveness of the amygdala. A second strategy addresses these shortcomings by combining fMRI with positron emission tomography (PET). Researchers can use PET radiolabeled ligands to assay multiple molecules involved in neuromodulatory signaling cascades such as biosynthesis, release, reuptake, and cell-signaling. By combining these PET-derived measures of brain chemistry with fMRI data from the same participants, it becomes possible to relate the level of specific neuromodulatory targets to brain function. Already, multimodal PET/fMRI studies have identified predictive links between endogenous variability in serotonin and dopamine signaling on the one hand and individual differences in amygdala responsiveness on the other.13,14These effects are consistent with those observed in pharmacologic fMRI studies but also provides a foothold for understanding how naturally occurring variability in neuromodulatory systems shapes amygdala functioning. The third complementary research strategy—imaging genetics—ties common genetic polymorphisms to variability in neuromodulatory systems and brain function. Thousands (and possibly millions) of common polymorphisms, defined as being present in more than 1 percent of the population, exist across the entire human genome. By affecting the regulation of gene expression and/or the transcription of DNA to RNA, these differences could cause significant variability in the functioning of neuromodulatory systems between individuals. Combining information about these polymorphisms with fMRI data from the same group of subjects, we can map the genetic variability in neuromodulatory function onto individual differences in brain function. USING IMAGING GENETICSCombining imaging data with genetic information derived from single-nucleotide polymorphism studies will allow the mapping of individual differences in brain function and the prediction of behavioral responses to therapeutic treatments. 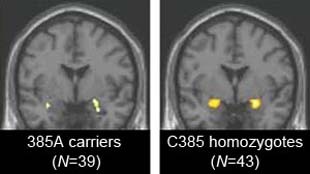 The fMRI images are representative of amygdala responses (yellow) to threat in the brains of two groups of people with different variants of an enzyme that regulates signaling by the endogenous cannabinoid, anandamide. In the scan on the left, the people carry the 385A allele of the enzyme FAAH (fatty acid amide hydrolase), which is associated with reduced enzyme activity and increased anandamide signaling. 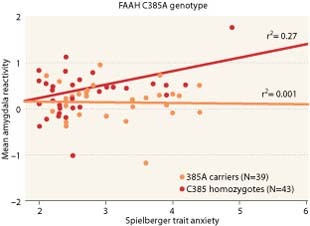 Carriers of the 385A allele show decreased threat-related amygdala responses relative to homozygotes for the C385 allele (scan on right), and a weaker relationship between amygdala response and the experience of anxiety as shown in plot of the compiled data. Many imaging genetics findings are consistent with patterns reported in pharmacologic fMRI and multimodal PET/fMRI studies.15 This includes confirmation of the roles of serotonin, dopamine, norepinephrine, endocannabinoids, and steroid hormones in emotional responsiveness. However, imaging genetics research has also broken new ground in identifying specific intrinsic factors which shape variability in amygdala responsiveness in the absence of a priori pharmacologic fMRI or multimodal PET/fMRI findings.16 Unlike the first two research strategies, which are limited by the number of available drugs or ligands, respectively, imaging genetics offers the potential to explore the impact of any factor whose function may be affected by common variation in its genetic code. Thus, imaging genetics holds unique promise in identifying a broad array of intrinsic factors that contribute to individual differences in the responsiveness of the human amygdala. For example, we have recently examined the effect of a common polymorphism in the human gene for an enzyme that regulates anandamide signaling in the brain.17 Anandamide is one of our body’s endogenous cannabinoids, which play a very important role in regulating signaling between neurons, including those in the amygdala. Interestingly, the psychoactive ingredient in marijuana, delta-9-tetrahydrocannabinol or THC, targets this endogenous system. In our study, we used each person’s genetic background to predict whether they would have relatively high or low levels of anandamide in their brains. We then looked to see if the genetic background predicted the responsiveness of the amygdala to threatening facial expressions. (See graph above.) We found that people who had a genetic background predicting higher levels of anandamide showed decreased threat-related amygdala responses in comparison to those with a background conferring lower levels. Moreover, we found that the amygdala response predicted how generally anxious people reported themselves to be only if they had the genetic background associated with relatively decreased anandamide. Remarkably, the pattern we observed is similar to that associated with the effects of THC, namely reduced anxiety. While these data are preliminary, many other factors, both genetic and environmental, will ultimately shape the responsiveness of each person’s amygdala. These data clearly illustrate the potential of imaging genetics to identify specific pathways that shape brain function and behavior. Imaging genetics holds unique promise in identifying a broad array of intrinsic factors that contribute to individual differences in the responsiveness of the human amygdala. Regardless of the strategy, the intrinsic factors identified through the above research are largely consistent with the identified roles of the amygdala, the target neuromodulatory systems, and the genetic polymorphisms that have been implicated in normal emotional behavior and psychopathology, particularly mood and anxiety disorders. These intrinsic factors, which modulate amygdala responsiveness, may be useful predictive markers of relative risk for psychopathology. Even more intriguingly, they suggest specific mechanisms for the development of individually tailored treatment and, ultimately, prevention strategies for psychopathology. For example, imagine two people are suffering from major depression. One has a genetic background associated with relatively higher numbers of a specific serotonin receptor that helps regulate serotonin levels in the brain, while the other has a genetic background for relatively lower numbers. While both people may benefit from treatment with selective serotonin-reuptake inhibitors, which very broadly increase serotonin levels, only the person with a genetic background resulting in higher numbers of the specific receptor is likely to benefit from additional treatment with a drug targeted to block these effects. 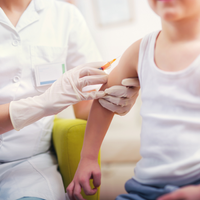 Currently, physicians have no way of knowing ahead of time which of these two patients would benefit from the additional drug, and would simply prescribe it to each patient and see if they get better. The drug carries significant risks and is associated with many side effects. The promise of genetic markers that accurately predict important differences in brain chemistry, which shape the responsiveness of the amygdala, is to identify those individuals most likely to benefit before treatment actually begins. Currently, we are limited to drawing conclusions only about how groups of individuals with a shared genetic background may respond on average, and much work is needed before we can apply genetic markers to predict how a specific person will respond. A full appreciation of implicit emotional processing is critical to fully understand our emotional life and its aberration in psychopathology. We contend that depression and anxiety disorders may not be best thought of as aberrations of explicit emotional processing. Rather, they resemble an exaggeration of implicit emotional reactions that fail to be regulated. Identifying the genetic signatures that predict these exaggerated reactions as well as the compromised prefrontal function that yields to them will clarify predisposition to psychopathology. And examining implicit and explicit emotional function, incorporating the genetic markers that help shape each individual’s “trigger” point, is one clear future direction that will provide benefits for the field. F1000 Member Ahmad R. Hariri is Professor of Psychology and Neuroscience at Duke University and Paul J. Whalen is Associate Professor in the Department of Psychological and Brain Sciences at Dartmouth College. A.D. Engell et al., “Implicit trustworthiness decisions: automatic coding of face properties in the human amygdala,” J Cogn Neurosci, 19:1508-19, 2007. K.E. Demos et al., “Human amygdala sensitivity to the pupil size of others,” Cereb Cortex, 18:2729-34, 2008. P.J. Whalen et al., “Masked presentations of emotional facial expressions modulate amygdala activity without explicit knowledge,” J Neurosci, 18:411-18, 1998. J. LeDoux, The Emotional Brain: The mysterious underpinnings of emotional life, New York, Simon & Schuster, 1996. P.J. Whalen, “Fear, vigilance, and ambiguity: initial neuroimaging studies of the human amygdala,” Curr Dir in Psychol Sci, 7:177-88, 1998. K. Roelofs et al., “Facing freeze: social threat induces bodily freeze in humans,” Psychol Sci, 21:1575-81, 2010. P.J. Whalen et al., “Human amygdala responses to facial expressions of emotion,” in The Human Amygdala, P.J. Whalen, E.A. Phelps, eds., New York: Guilford Press, 2009, pp. 265-88. A.R. Hariri, “The neurobiology of individual differences in complex behavioral traits,” Annu Rev Neurosci, 32:225-47, 2009. M.L. Phillips et al., “Neurobiology of emotion perception II: implications for major psychiatric disorders,” Biol Psychiatry, 54:515-28, 2003. P.J. Whalen et al., “A functional MRI predictor of treatment response to venlafaxine in generalized anxiety disorder,” Biol Psychiatry, 63:858-63, 2008. K.L. Bigos et al., “Acute 5-HT reuptake blockade potentiates human amygdala reactivity,” Neuropsychopharmacology, 33:3221-25, 2008. P.M. Fisher et al., “Capacity for 5-HT1A–mediated autoregulation predicts amygdala reactivity,” Nat Neurosci, 9:1362-63, 2006. T. Kienast et al., “Dopamine in amygdala gates limbic processing of aversive stimuli in humans,” Nat Neurosci, 11:1381-82, 2008. L.M. Shin et al., “The human amygdala and anxiety disorders,” in The Human Amygdala, P.J. Whalen, E.A. Phelps, eds., New York: Guilford Press, 2009, pp. 321-343.